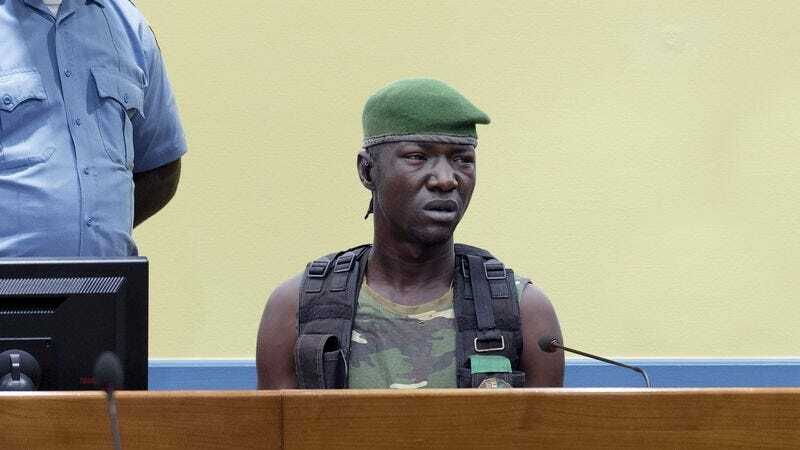 THE HAGUE—Following his 15-minute appearance today before the Civil Ordinance division of the International Criminal Court, Mai Mai Kata Katanga militia leader Emile Kyenge was sentenced to six months’ probation for several war misdemeanors committed in the Democratic Republic of the Congo, sources confirmed. “Mr. Kyenge’s crimes against the community, from trespassing on private land during nighttime raids to torching entire villages without a burn permit, have been a disruption to public order,” said Chief Prosecutor Fatou Bensouda, adding that Kyenge has previously appeared before the tribunal for littering public grounds with the bones of his enemies, failing to pay taxes on sales of captive women, and allowing child soldiers to sit in his armored vehicle’s front seat. “In light of the damage he has caused, Mr. Kyenge will be required to complete 30 hours of community service and submit a letter to the tribunal apologizing for his actions. He will also be levied the standard fine of $250, as well as the $50 International Criminal Court processing fee.” Bensouda added that under the terms of Kyenge’s probation, the rebel warlord must henceforth inform the court whenever he leaves the state of Katanga to massacre civilians.